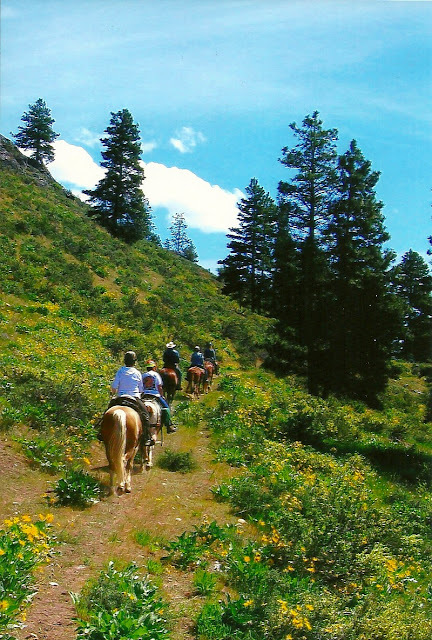 "BBQ Flats" -- Washington's Newest Horse Camp! On the weekend of May 21st Cathy Upper and Betty Wagoner traveled to Wenas Valley for the BCHW dedication of the new BBQ Flats Horse Camp. 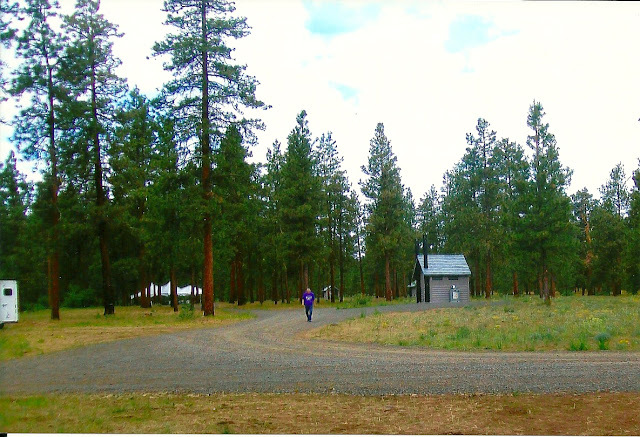 Cathy and Betty found that the Washington State Department of Natural Resources (DNR) did an excellent job in developing and providing public access for the camp. The Pierce County chapter, as well as other BCHW chapter volunteers, put in countless hours to complete the project. This horse camp showcases what the DNR, the State legislature, and our BCHW volunteers can do when working together. 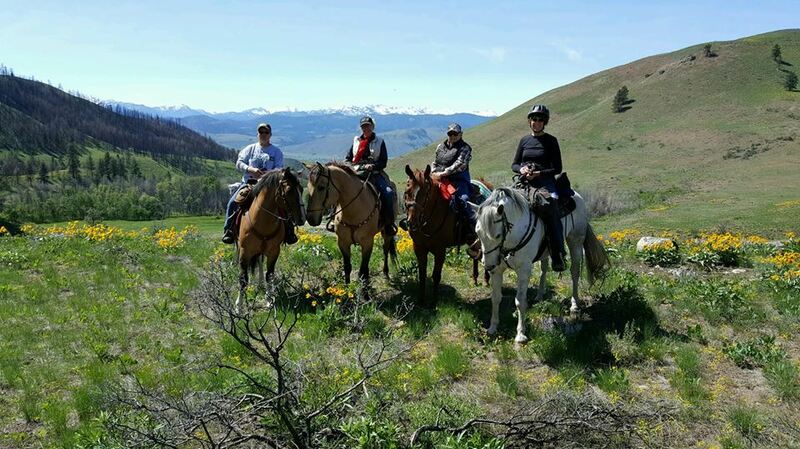 The camp is mult-use, and Cathy and Betty had 3 great rides while they were there. 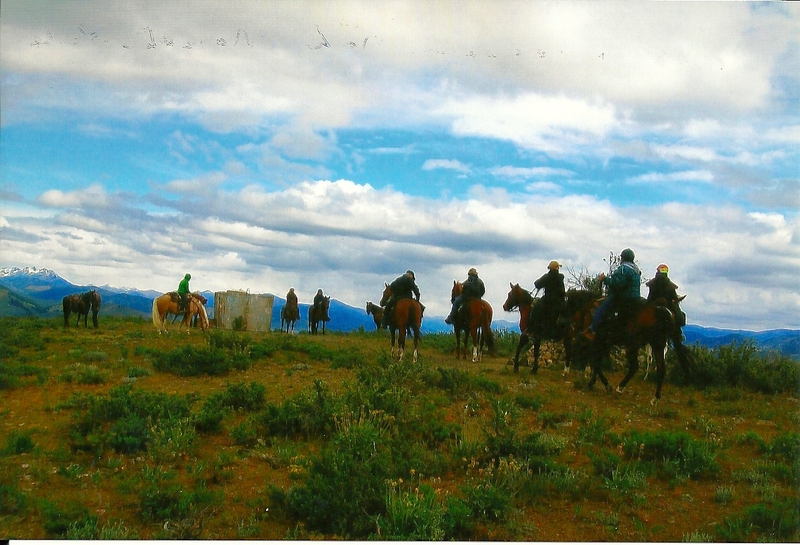 On May 19th there were 14 riders who rode up the Patterson Mountain. It was a chilly day on top (actually, it was plum cold! ), so riders headed north to make a loop back to their rigs and had lunch! 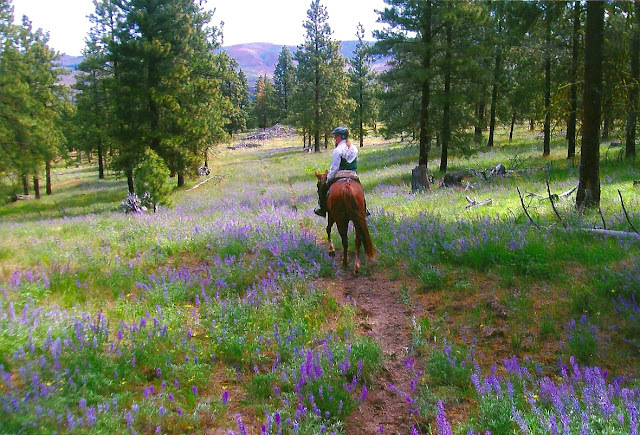 The scenery is gorgeous on this ride, but the "sunflowers" and Lupine were already finished blooming. Visiting this beautiful and private area is by permission only, so a very special thank you to Moccasin Lake Ranch for letting us make our annual "Patterson Mountain" ride. May 13th was a beautiful day for riding up the old "wagon trail" to Ramsey Creek Road, then turning south and west for about 1 1/2 miles on the way to the overlook. 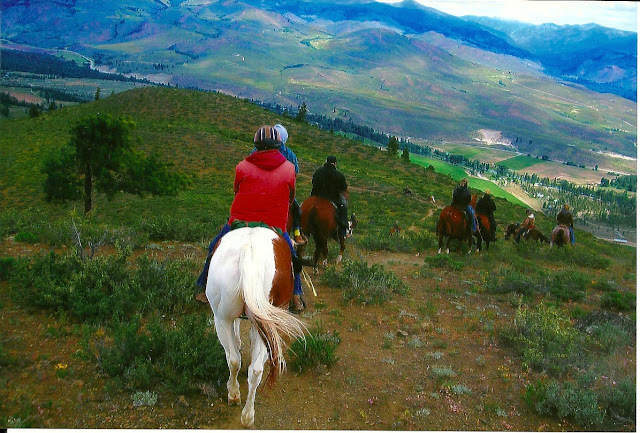 The view of the Methow Valley below and the Cascade Mountains in the distance was spectacular! This year being a "wet" year, riders had a small stream of water running down parts of the trail, but it was certainly passable. Thanks to Cathy Upper and DK Williams for cutting out the trail before our ride, which can also be done as a "loop" as it circles back to the Ramsey Creek Road. 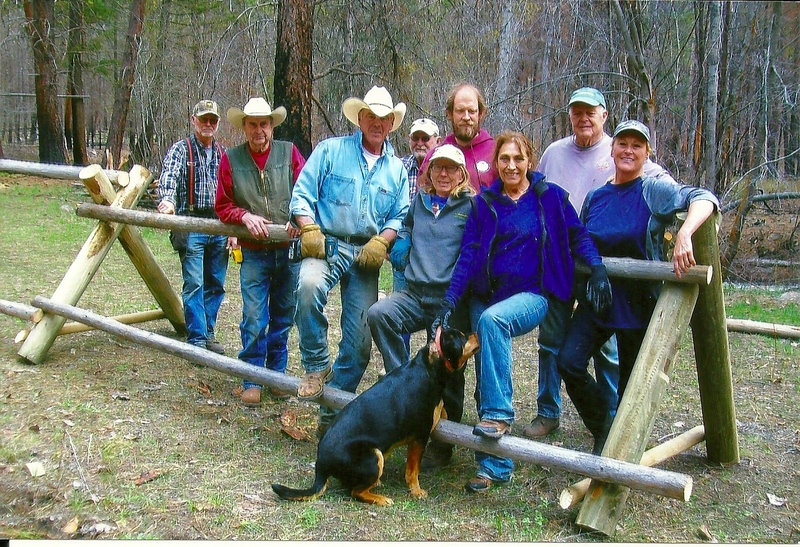 On April 16, 2016--prior to the annual MVBCH Spring Ride--the Methow Valley chapter of the Back Country Horsemen of Washington partnered with the Washington State Fish & Wildlife Service to build a pole fence. The fence was constructed along Beaver Creek to prevent horses, mules, and campers from damaging the creek bed and disrupting fish habitat. 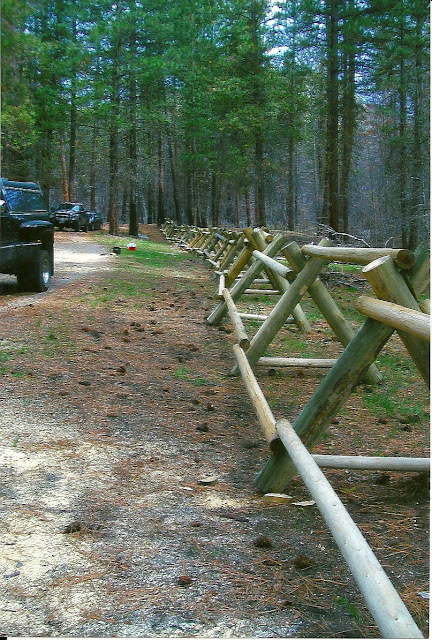 The project was done in exchange for Permit Fees necessary to use the campground for the chapter's annual Spring Ride. 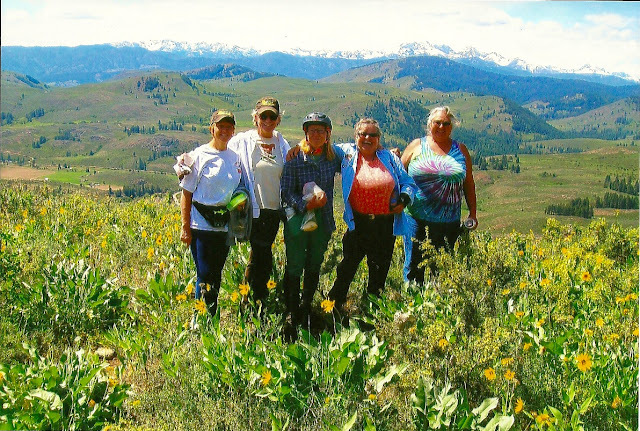 Twelve MVBCH members volunteered on April 16th and five members volunteered during a second work party on April 23rd, resulting in 75 volunteer work hours to complete the project. 2016 Spring Ride--Another Great Year! What a spectacular scenery ride was held this year! The Balsamic Root (wild sunflowers) were a blanket of yellow, weather held calm and sunny, and a good turnout of riders and their horses made this year’s Spring Ride memorable once again.